Intricate geometric floral medallions of blue, cobalt, white, and gold arranged in a grid. From the deep blue seas to the sunny skies, blue is everywhere! 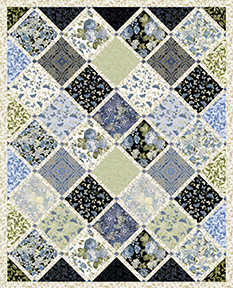 Celebrate our favorite color with many shades of blue in a variety of floral and geometric patterns.